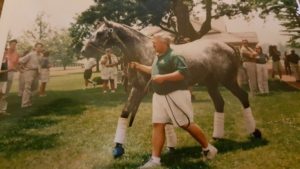 It’s been 20 years since Robert and Beverly Lewis’ Silver Charm ran into the horse racing record books and the hearts of countless racing fans with his head victory in the 1997 Kentucky Derby at Churchill Downs. The Florida-bred son of Silver Buck carried Hall of Fame jockey Gary Stevens that day, providing the veteran reinsman with his third Derby win to go along with his victories aboard Winning Colors (1988) and Thunder Gulch (1994). 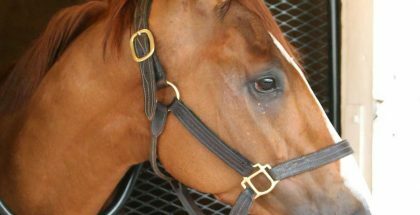 The 123rd Kentucky Derby also represented the initial victory for the Lewises, as well as Hall of Fame trainer Bob Baffert, who has since tightened the girth on three more winners of The Greatest Two Minutes in Sports — Point Given (1998), War Emblem (2002) and American Pharoah (2015), the latter of which went on to become the first Triple Crown winner in 37 years.